More than 7 million Americans make six-figure salaries--and you can be one of them! Corporate recruiter Michael Zwell uses his twenty-five years of experience to show you how to reach that goal. And he brings you insider advice about salary negotiation from top business leaders, including: Robert Wright of the Wright Institute; Donald P. Delves of the Delves Group; Catherine Candland of Advantage Human Resourcing; Stan Smith of Smith Economics Group; Tom Terry of CCA Strategies; Judith Wright of the Wright Institute; Mylle Magnum of IBTWilliam J. White of Bell & Howell. 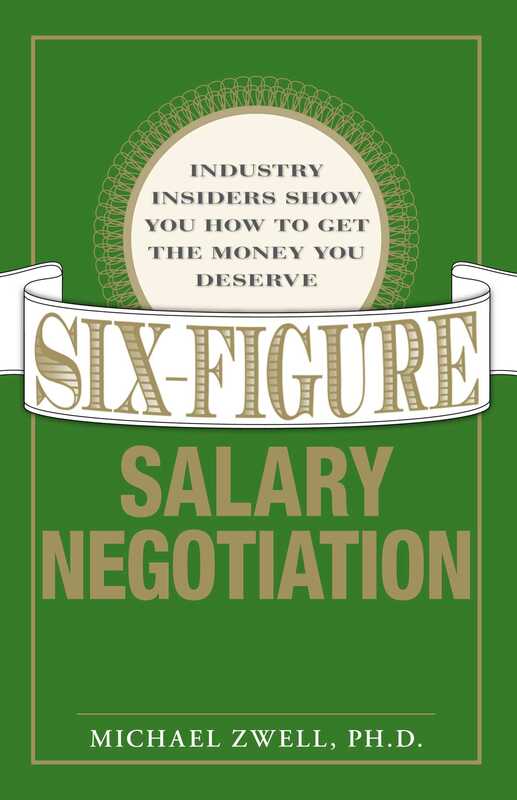 These industry insiders show you how to negotiate a satisfying job offer or raise. They tell you how to ask the right questions and how to close a job offer at the right moment for the best salary and benefits. With these experts at your side, you'll get the salary and benefits you deserve.